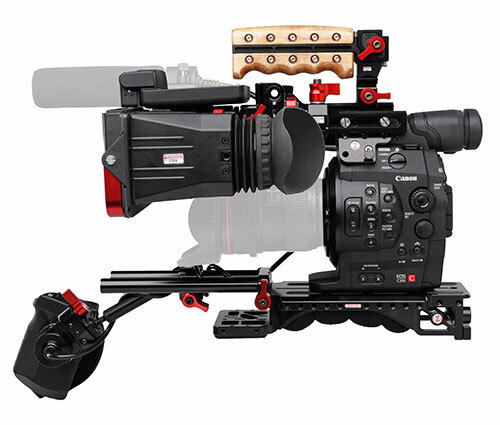 Apply for a Canon Cinem EOS C300 DAF Zacuto Kit lease: 1.99% & 0% Interest Lease Program. Canon ITCG, in partnership with Canon Financial Services, Inc. is offering 1.99% financing for 36 months and 0% for 24 month leases. C300 Z-FINDER RECOIL PACKAGE INCLUDES: EOS C300 Body (EF Mount), VCT Universal Baseplate, Grip Relocator C300/5— Helmut Kit, C300 Z-Finder & Mounting Kit , Battery Pack BP-955, Battery Charger CG-940, Compact Power Adapter CA-940, Eye Cup, Viewfinder Cap, Thumb rest, Tripod base TB-1, WFT Attachment, Measuring Hook, AC Cable x2, DC Cable(for CA-940), Shoulder Strap SS-1200, XF Utilities Disk. 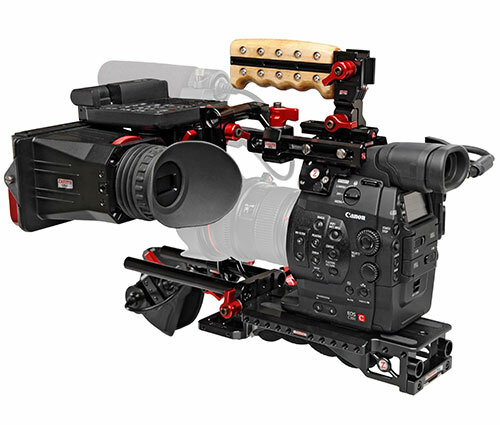 As Canon's flagship 1080p HD cameras, the EOS C300 is designed to fit a wide variety of production needs. It's at home as A Cameras for Independent Films, Commercials, Television and Dramas as well as B Cameras on Major Motion Pictures, offering in addition to the more common 23.98P frame rate, several selectable frame rates including a straight 24.00P setting for intercutting directly with film originated material. Full HD 1920x1080 (1080p) is currently the most used and needed deliverable frame size for these applications. 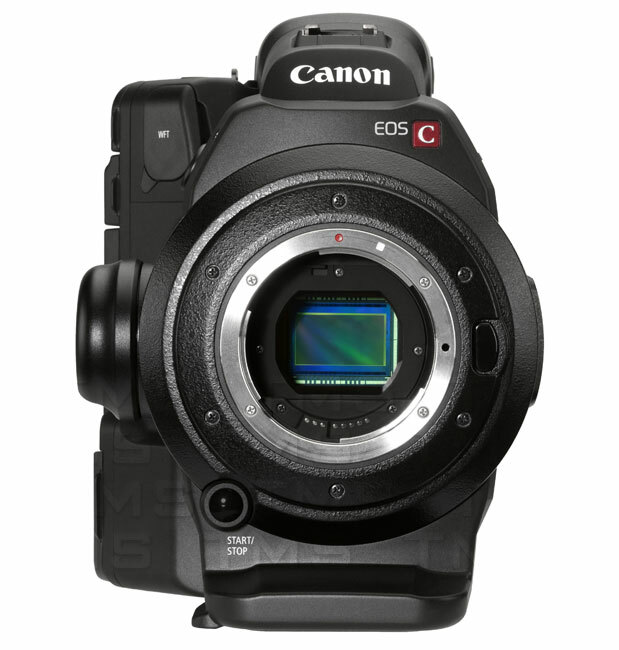 The EOS C300 provides easy adoption and simplified workflow that 4K cameras currently cannot deliver. The EOS C300's large Super 35-sized CMOS image sensor was specifically engineered from the ground up to meet the needs of the cinema industry. This entirely new imaging sensor conforms to cinema industry size expectations, with a 16:9 aspect ratio and overall size of 24.6 x 13.8mm (slightly different aspect ratio, but similar to the 22x15mm APS-C size sensor in digital SLRs such as the Canon EOS 7D). It's important for newcomers to pro video cameras to note, however, that this is not simply an EOS SLR sensor that's been surrounded by a pro video camera body. Likewise, this is not a "full-frame" sensor. The EOS C300 sensor is completely dedicated to HD video. The EOS C300 has higher ISO sensitivity than any Super 35-size sensor camera in its price category, as of fall, 2011 (even higher than the EOS 7D HD-SLR), improving upon low light performance in a game-changing way. It maintains an excellent signal-to-noise ratio throughout the entire range of options - even up to a staggering ISO 20,000. No other camera with a similar Super 35mm sensor size approaches this level of sensitivity, and none of Canon's EOS HD SLRs approach similarly high ISOs with as little image noise as the EOS C300. Now that HD-SLRs have made large sensors and high ISOs accessible to the masses, it has become popular to shoot in near darkness with high-speed lenses at very large apertures like f/1.2 or f/1.4, resulting in extremely shallow depth of field. However, in the professional world, deeper depth-of-field is often preferred in order to see the set and production design more clearly, and offer the focus puller a decent chance of keeping the actors in focus. It is common practice for professionals working with the Super 35 imaging sensor to shoot at more moderate f-stops, such as f/4. 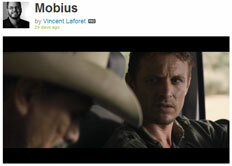 The EOS C300 uses the MPEG-2 Long GOP 4:2:2 MXF codec with a high constant bit rate of 50 megabits/sec. It is the only Super-35 sensor camera in its price category (as of fall, 2011) that records 4:2:2 color sampling on-board, without the need of external recorders. This fulfills a niche for green screen work that previously required additional equipment and investment to achieve. For its price class, it is the best codec available. Combined with the full RGB output of its unique sensor, the C300 is a great option for green screen and effects work. In today's highly accelerated production world, speed of delivery is crucial. Working with established NLE software companies such as Adobe, Apple, Avid and Grass Valley to ensure compatibility with Apple's Final Cut Pro (7 and X), Avid Media Composer, Adobe Premiere CS5.5, and Grass Valley Edius non-linear editing software, the EOS C300 already works seamlessly with the most commonly used professional editing systems and does not require proprietary software to prepare footage for editing. In addition, the MXF codec is robust, with a high bit rate that meets or exceeds network broadcast specs. It's the same codec that is used in Canon's existing XF-series camcorders (XF100 and XF300 series), making the EOS C300 one of the very few cameras in the sub-$20,000 price category of Super-35 sensor class that can provide 50 Mb/sec, 4:2:2 output at Full HD 1920x1080.